The Supreme Court has ruled that a man violently attacked by a Morrisons employee was able to sue Morrisons for his injuries. 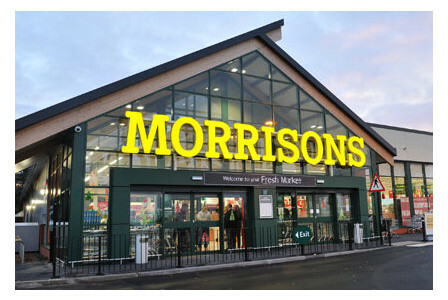 Morrisons were deemed to be ‘vicariously liable’ for their employees actions. In a workplace context, vicarious liability means when an employer is liable for the actions of an employee. Employers should seek legal advice on the preventative measures they can put in place to limit their liability before such an event occurs. The Claimant, Mr Mohamud, a man of Somali origin, stopped at a petrol station on 15 March 2008. The petrol station had a Morrisons supermarket attached to it and the premises were owned by Morrisons. A kiosk was manned by Mr Khan, a Morrisons employee, whose job it was to serve customers and see that the petrol pumps and the kiosk were kept in good running order. Mr Mohamud went into the shop to ask if it would be possible to print some documents from a USB stick he was carrying. Mr Khan, one of three members of staff on duty at the time, replied in expletive terms that it was not. When Mr Mohamud objected to being sworn at, Mr Khan ordered Mr Mohamud to leave, using foul and racist language. Despite his supervisor’s protests, Mr Khan followed Mr Mohamud to his car, opened the passenger car door and told Mr Mohamud never to come back to the petrol station. When Mr Mohamud told Mr Khan to get out of the car, Mr Khan punched him in the head. Mr Mohamud got out of the car to shut the passenger door but Mr Khan attacked him further, punching and kicking him to the ground. Whilst this is an extreme case, many employers are unaware that they can be vicariously liable for a wide range of actions committed by their employees such as bullying, harassment, discriminatory acts, libel and breach of copyright.